Justick International’s unique line of message, dry erase whiteboards, displays and signage products – winners of numerous global innovation awards – recently added another distinction to its growing list of accomplishments. Office Products International (OPI) – the global business products resource – has selected Justick’s unique “Triple Function” line of Electro Adhesion powered whiteboards as a finalist in its North American Office Products Award for Best Core Office Product category and is nominated for the People’s Choice Award for 2015. The People’s Choice is an award chosen from all the NAOPA products categories. These are all exceptional products selected by an expert panel of judges out of hundreds of entries. The winner will be announced at the SP Richards’ ABC gala dinner in Las Vegas on the 24th of June. 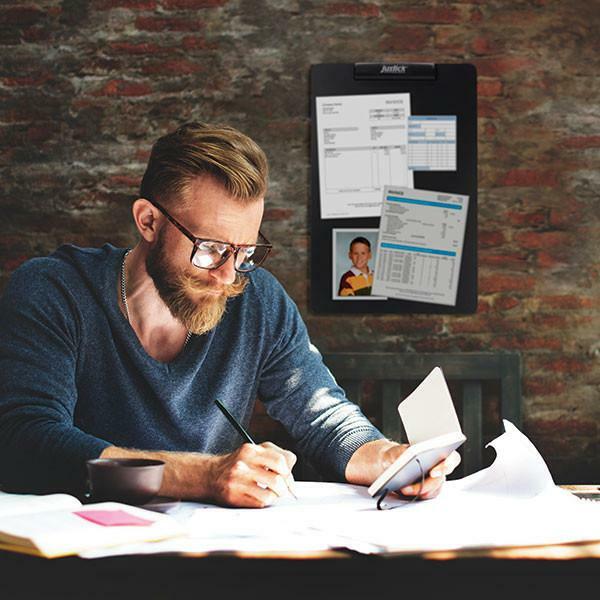 Justick’s unique “Triple Function” dry erase whiteboards combine the patented Justick Electro Adhesion surface with a Clear Overlay. Justick “Triple Function” Whiteboards allow users to – 1. Write – and use as a regular whiteboard 2. Display – lift the clear overlay and place materials on the Electro Adhesion surface 3. Interact – using wet or dry erase markers write over the displayed material without damaging the originals. You can easily customize the Justick whiteboard using free templates available at www.justick.com, or you can create your own. All Justick products employ the internationally patented Electro Adhesion technology, which uses either (4) AA batteries or an optional A/C adapter to power the boards. Justick’s unique Electro Adhesion surface holds all grades of paper, photos, cards, brochures and other flat materials, making it easy to move/reposition items without damaging them. The Justick range of products is suitable for use in multiple settings including – offices, schools/universities, ad agencies, hospitals/clinics/pharmacies, retail stores, banks – and of course, the home. Applications for Justick products are virtually limitless – from professional and home offices, conference rooms, desktops, trade shows/exhibitions, kitchens, bedrooms – and more. They’re perfect for displaying presentations, notices, photos, cards, notes, artwork, to-do lists, brainstorming ideas, etc. “Our marketing partner – the CLOR Group (Oak Brook, IL) – manages US distribution for Justick in the Office Products channel and is pursuing licensing opportunities for the Electro Adhesion technology in various market sectors including Office Furniture, Automotive, Toys, Store Displays and Appliances” explained Ferreira. Justick has developed and engineered the patented Electro Adhesion technology to simplify workflow while promoting creativity, collaboration and productivity. Justick products are used by both individuals and corporations including – Bank of America, Xerox, Warner Bros, Pfizer and more. Winners of the acclaimed Xerox Innovation Award, Justick continues expanding their current line of products to fulfil creative and professional needs across the globe. More information about Justick International is available at www.clorgroup.com. OPI is the global business products industry’s go-to hub for essential resources, news, analysis, information and networking. A trusted name since 1991, OPI delivers business-critical information through its flagship magazine, website, supplements, apps, events and resources such as industry research, marketing and recruitment.